On the plus side, I commend the author for choosing a subject that is not well known to many people. I live in Minnesota, where many of the orphans in the book found homes after leaving the train, and I was not familiar with this history at all. Sign into Goodreads to see if any of your friends have read Orphan Train. I loved this book.... Couldn't put it down. I enjoyed the two parallel stories. Great ending. Agree! Couldn't finish it for these reasons. Did no one see the movie of the week "Orphan Train" in 1979? I did when I was nine, watched it with my mom. Story was seared on my brain. After reading this book looked it up on utube and found it, watched it all over again. It's great!! Better then the book!! 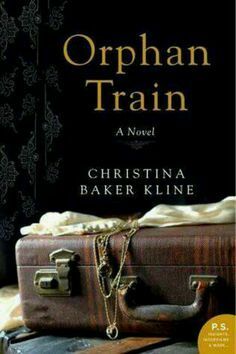 Debbie wrote: "Did no one see the movie of the week "Orphan Train" in 1979? I did when I was nine, watched it with my mom. Story was seared on my brain. After reading this book looked it up on utube and found it,..."
OMG! I didn't know there was movie! I will have to try to find it!